The One Page Project Manager Template Excel helps a project manager to manage projects with a single page. 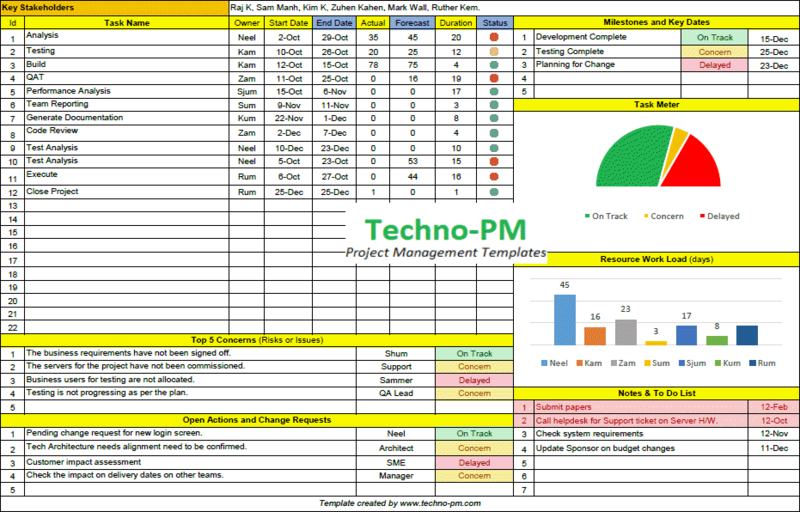 The Latest One-page project manager covers the task tracking, maintain critical dates, task meter, resource load, to do for the PMs, risk, and issues tracking. 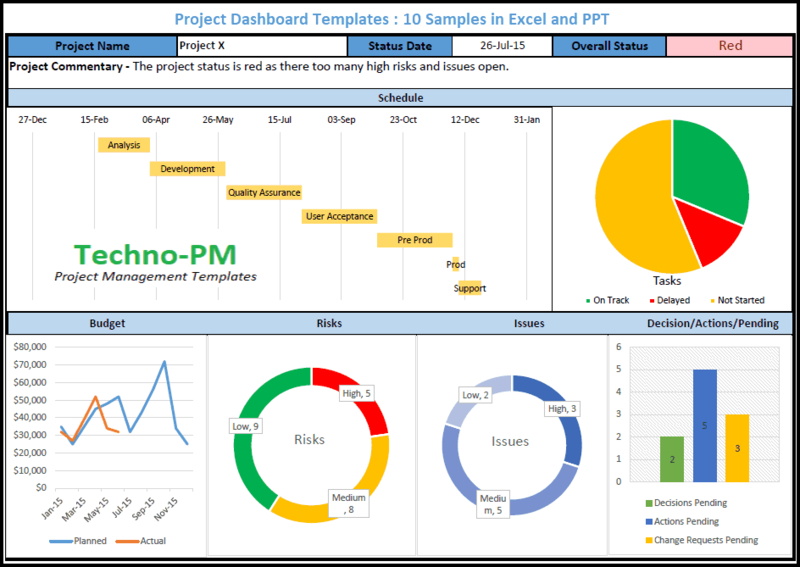 The One-page project manager template has been designed to fit into one excel sheet and easy to print. Another important KPI has also been developed to be visible easily. Covers all the critical project aspects in one page. Allows capturing of critical milestones/dates with a status indicator. 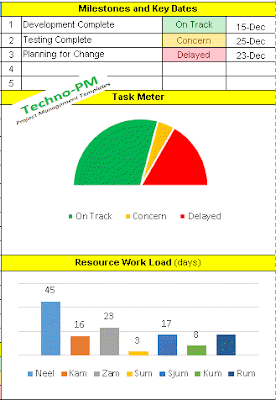 Has a task meter which shows how many tasks are on track, concerned or delayed. Allows tracking of individual tasks and highlights delayed tasks. Captures the resource workload for each resource. Captures top 5 concerns which can be risks or issues. Captures top 5 action items or change requests. 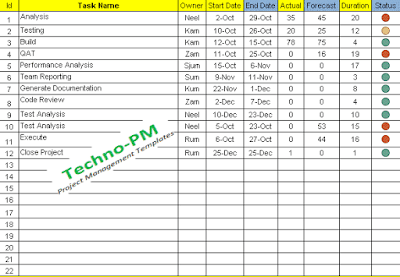 Has notes and to do tracker which highlights tasks which have passed the due date. Can handle a list of 20 pre-defined holidays. Holidays are reduced from the task duration. The task tracker allows up to 21 tasks. Each task has an owner, start date, end date, actual completion, forecast completion and status. All the columns marked in blue are auto-populated so should not be changed. 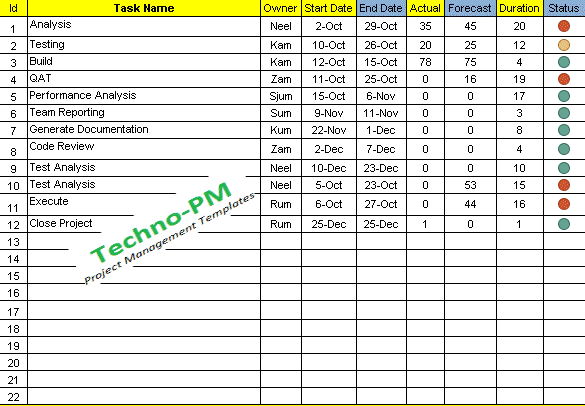 The task tracker calculates the Forecast % complete based on task start date, end date, and duration. Based on the Actual and Forecast the status is populated. If the task is on track or ahead then the status is green. If the task is less than 5% behind then the task is marked amber. If the task is lagging behind for more than 5% then the status is marked red. Always copy the previous task to create a new task. Update only the columns marked in yellow. On a day to day, basis updates the Actual % completion. Milestones and Key dates section allow tracking of key dates and milestones. Each date has a due date and status indicator which will indicate on track, concern and delayed. 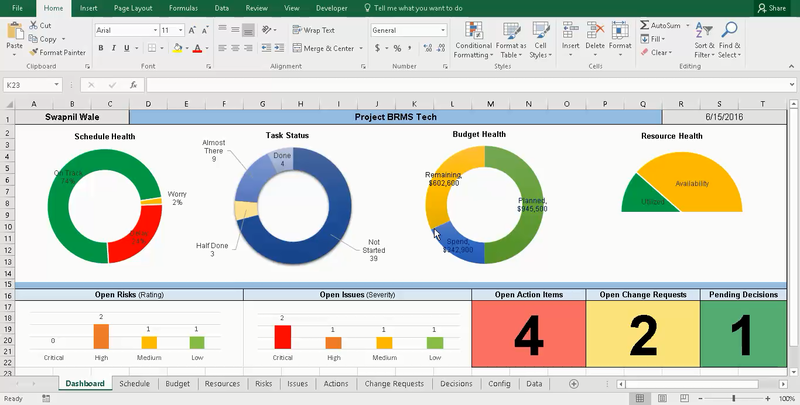 The Task Meter displays show the on track, concern and delayed. The graph gets the data from the task tracker status. 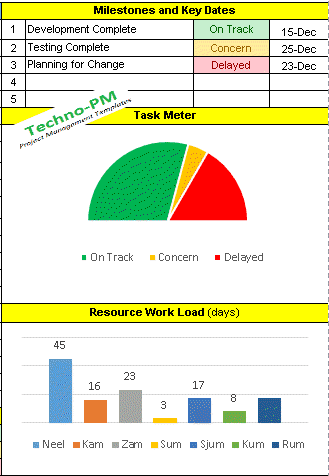 The Resource Work Load displays the work allocated to each resource in days. The resource workload graph also gets the data from task tracker. This section allows the tracking of risks and issues within the Top 5 Concerns. Each concern has an owner and status which can be On Track, Concern or Delayed. The Open Actions and Change Requests allows tracking of action items and change requests. Each action item and change request has an owner and status which can be On Track, Concern or Delayed. The notes and to do list is specially designed for project managers to keep track of their own tasks. Each task will have a description and due date. The task will be highlighted in red if the task is overdue. The data section can be used to set the resources. Populate only resource names. The workload column is auto calculated. The public holidays can be used to set public holidays. Nice job! Thank-you for sharing. Thank you for sharing your templates. I have read "The New One Page Project Manager" and was planning to implement after modification. probably I will now use some of your templates.